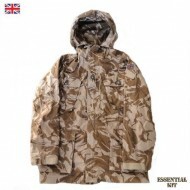 Genuine British Army Surplus Excellent Super Grade condition. DPM Desert Camouflage. Comba.. Very good Grade 1 condition.